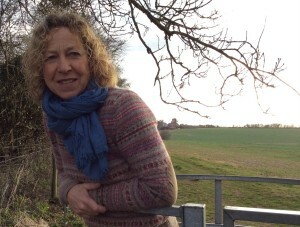 Thank you for visiting my website – I’m Debra Mann and I currently run 5 yoga classes in Dummer and Hatch Warren near Basingstoke. These locations are also convenient for Beggarwood, Kempshott and Brighton Hill. My classes are open to men and women, and suitable for people of all ages and from all walks of life. These classes are for men and women and are suitable for most levels of fitness, no previous experience is required. Beginners are always welcome. 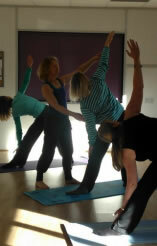 The class includes a gentle flowing sequence, yoga postures, breathing exercises and finishes with a relaxation. Most classes run school term time only, breaking for the school holidays and are based on 6/7 week blocks. This gentle class is for older men and women who prefer slower paced exercise whilst still gaining the from the benefits of keeping fit and improving their well being. It is suitable for most levels of fitness and no previous experience is needed. The class includes gentle flowing movements and simple yoga postures whilst standing and using a chair and breathing exercises. The relaxation at the end is done seated in a chair. 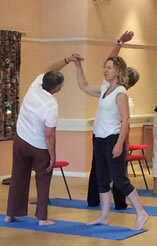 The classes are designed to improve balance, flexibility and breathing and help to relieve stiffness and tension. "Being a keen athlete, I always look for ways to improve my performance. Having a clear mind through doing yoga with Debra has always given me an edge. I often incorporate elements of Dru Yoga when warming up for competitions." Visit www.druworldwide.com for more details.